If it’s not related to fitness, you’ll find it here! How’s this for some exciting news! With the Rio Olympics only a couple weeks away (August 5-21) I am thrilled to support Team Canada as an Ambassador for the Canadian Tire #StepUpStandTall campaign. What is #StepUpStandTall? Follow along with me and #StepUpStandTall on social media throughout the Olympic Games for your chance to win 1 of over 500 Canadian Tire Prize Packs and to view exclusive content throughout the games. Have you seen this video yet? Time to dig out that red and white and get ready to #StepUpStandTall! With the Family Day long weekend just around the corner, I’ve done the research for you and found 5 great ways you can have fun in Toronto while being physical activity with your family. Saturday, February 14 to Monday February, 9 a.m. to 5:30 p.m. This Family Day head over to Casa Loma to take part in the excitement of the Pan Am Games! Families are invited to participate in interactive sports and cultural activities with Team Canada athletes! This includes: live gymnastics demonstration (1pm-3pm), meet the Pan Am athletes (1pm-3pm) boxing workshop, Parapan Am activities, bocce ball, face painting, visit from the official the Pan Am mascot Pachi. Monday, February 16, 1:45p.m. to 2:45 p.m. Enjoy Family Day Yogi style! 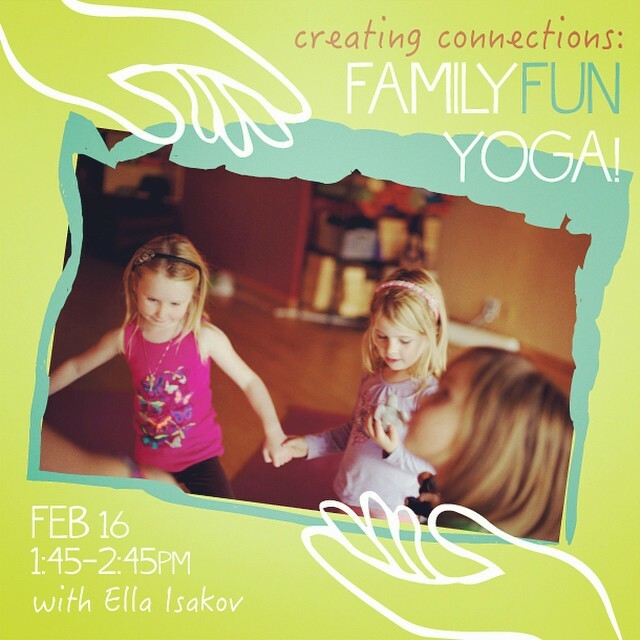 Family yoga is a healthy way to interact, connect and share the love of yoga together. This class is suitable for ALL ages! There will be yoga play, breathing techniques, acro-yoga, fun activities, meditation, and relaxing quiet time to share together. Family yoga is a beautiful way to connect with your loved ones, and it may just ignite the love of yoga in your little ones. Details. Monday, February 16, 11 a.m. to 4 p.m. This Family Day, kids can try an 1812 drill class, Officers’ Sword Drill and some old-fashioned games, as well as a fun-filled kids’ activity book. Hot chocolate and a roaring fire will make this a heartwarming and memorable visit. Explore the history of Toronto and Fort York! Details. 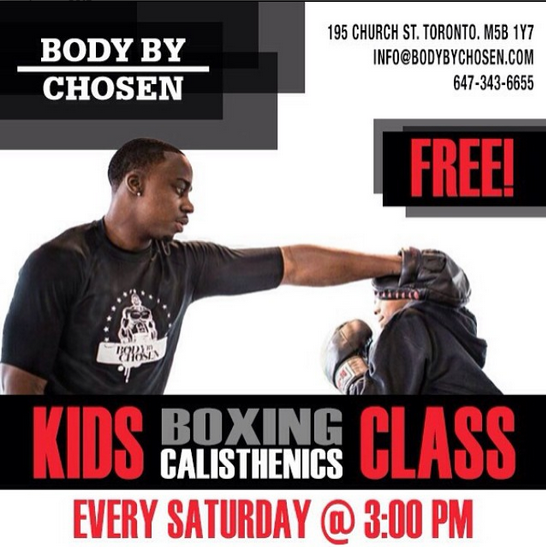 Saturday, February 14, 3 p.m. to 4 p.m.
Join Body by Chosen and their elite group of personal trainers for a free Family Day kids Boxing Calisthenics Class. Boys and girls ages 8-14 will participate in a 60 minute class which will begin with a mentorship discussion on healthy living and also a demonstration on some of the bar tricks Body By Chosen followed by a training session of calisthenics and boxing exercises to keep the kids active and promote healthy, active living. Details. Monday, February 16, 10 a.m. to 12p.m. Join the Harbourfront Center as they attempt to set a new GUINNESS WORLD RECORD® for the largest skating lesson led by Olympians Patrick Chan, Caroline Ouellette, Jennifer Botterill, Kevin Rempel and hockey legend Wendel Clark. Lesson will begin at 11am. Free skate and helmet rentals will be available. Details. 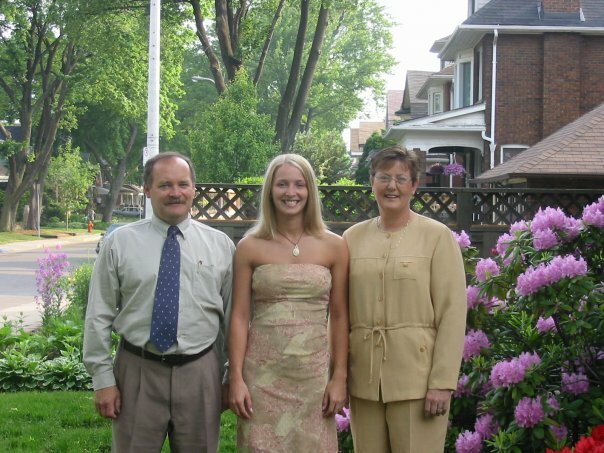 With my parents before my university graduation, the summer my mum was diagnosed. The summer of 2001 I was a university student enjoying a break from school and a summer of employment at the YWCA in Hamilton. My mum, Jill Rumble, was the CEO and I loved to hang out and chat with her in her office during my breaks. I was no longer a kid or irritating youth, I had my own opinions and we were finally at that great place where we were becoming friends. Today was a little different. She was sitting at her desk, appeared a little stressed and asked me to listen to her voice mail which she played out loud. I listened to her phone greeting smiled at her Aussie accent and she asked it I thought her voice sounded different. A weird question and I laughed it off saying no, she sounds like she always did – Australian. A few weeks later my mum was sitting at the computer desk in our kitchen area and shared with me that she had been diagnosed with ALS. Something both her doctor and Google had told her was horrible and deadly, she wanted a second opinion and would be seeing someone else. Again the response came back as ALS. Over the next three years our family traveled, made the best of the situation which wasn’t great. She would trip and fall as a result of her lack of balance and muscle response, get cut up and once even knocked herself unconscious. She would later walk with the support of a cane (which she hated) and then the use of a wheelchair. She developed blood clots and my father and I had to give her daily needles of thinners, not an easy task but one we had to do. She also tried countless trial medications with toxic side effects, including a muscle relaxant which one time left her completely immobile, a functioning brain with a broken body. Something that near her end would be the norm. My family was pushed to our limits we were challenged daily with our new normal, but we banded together, we loved deeper, and we became stronger, together. When I first saw posted on Facebook of the Ice Bucket Challenge. I refused to learn more. I was angry that someone on my feed would dare to trivialize something so close to my family. They didn’t know anything about ALS, so how dare they get involved. And after a few days of it not going away, infact only growing stronger I did my research. The ALS Ice Bucket Challenge has done amazing things for the American and Canadian ALS society with the American association raising almost $80 million at time of publish, and the Canadian association with near $8 million. Sure it has created awareness for the disease, but then people, regular people, who two weeks ago knew nothing about ALS are putting their money where their Ice Bucket is and have helped raise (in the case of the American association) over a years worth of donations in less than a month, and that will make a difference. If you continue to be skeptical like I had been than let this post put a face and family to ALS. Please share it with those who might be interested and please donate here to ALS Canada.